This young man is Kendrick Vonhofe who I trained for 7 years in Massachusetts. 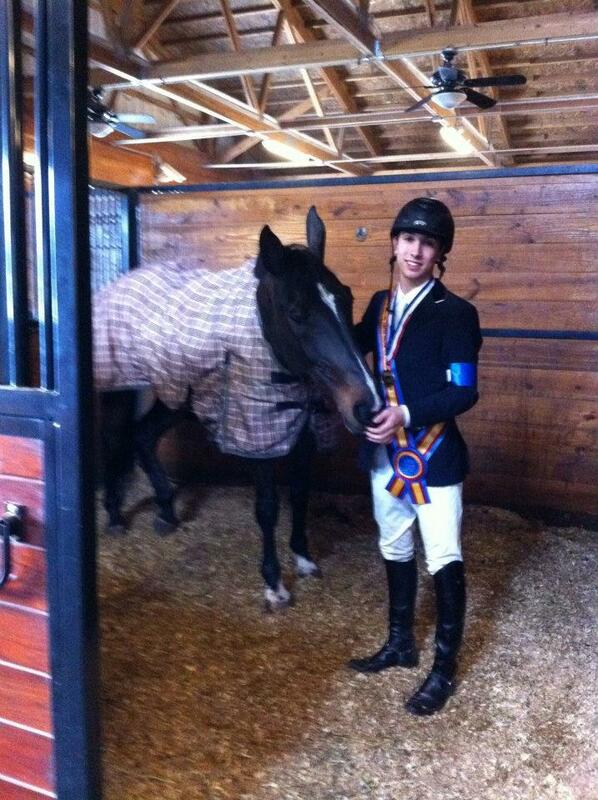 Kendrick made it to the finals of the USEF emerging atheletes program where his team won the prix de states jumping competition. Kendrick is currently employed with Olympian Steve Gaerdat. This three pictures of the worlds coolest horse! His name is Leviticus, and my friend Mary and I imported him from Germany as a 4-year-old. Levi was a winning hunter who started to have trouble with his hind suspensory ligaments at the end of his pre-green year. Our friend from Germany, Seonke Seonksen, told me to drive him to get his hind end sound and to make him strong. So I shipped him off to a driving trainer and as you can see from the picture he learned to drive very well! The final picture was taken after he had been driven for about four years. 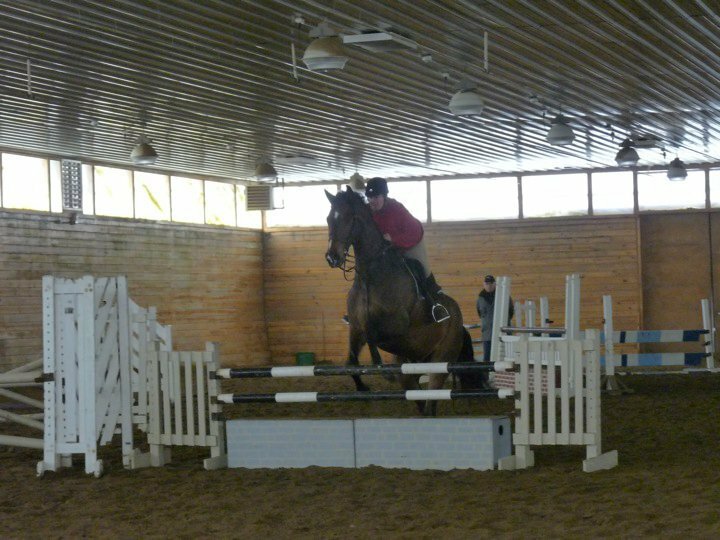 He was able to return to work as a jumping horse and is still alive and happy in Massachusetts!